Director Jackie Maxwell takes a full steam ahead approach to ‘Peter and the Starcatcher’ in historic Niagara-on-the-Lake. And with a highly capable cast behind the wheel, this is a presentation that remains on course from start to finish. ‘When I was a boy, I wished I could fly,’ confesses Charlie Gallant as Boy in an early scene of Peter and the Starcatcher. It doesn’t sound like the assertion amounts to much but when intertwined with themes of dreams and growing up it makes absolute sense why a desirable theatre company in historic Niagara-on-the-Lake felt so compelled to bring forward a family offering that marvels and surprises. For this reason, playgoers at the Royal George Theatre—perhaps for the first time in their lives—understand why every journey has a purpose. The twelve member cast that collaborate in playwright Rick Elice’s captivating story make it oh-so-good to feel young again. The adventurous backstory to the Peter Pan character unfolds in a sea of laughter aboard two ships—The Wasp and Neverland. Pirates hope to get their hands on a transported chest containing items belonging to the Queen, three orphans find themselves caught up in the plot to prevent that from happening. By the second act, heroes and villians arrive on dry land where the giggles never seem to end. Molly (Kate Besworth) only celebrates ‘odd number birthdays’, her father Lord Aster (Patrick Galligan) relies on speaking Dodo to convey secret messages, Black Stache (Martin Happer) remains a ‘well dressed thug,’ and faithful Smee (Jonathan Tan) has an ear for all of his comical misquotes. What’s astonishing about this this production is its pantomime vibe. Kidlets love the obvious humour, adults find great pleasure in the more concealed satire. 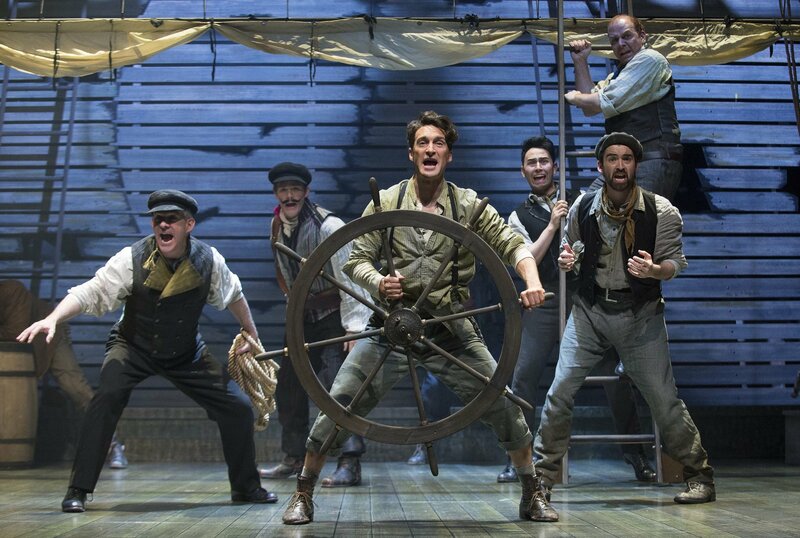 More than anything Peter and the Starcatcher represents a movement milestone for the company. Never before has bodies in motion looked like this in the Royal George and it’s highly unlikely it will again in the near future. Magically affluent and imaginably incessant, this one’s all about the art, not the box office.